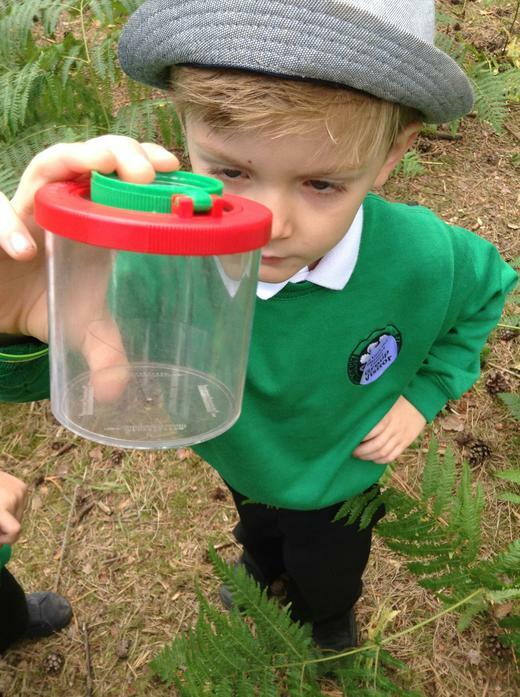 This half term we are learning about mini-beasts. 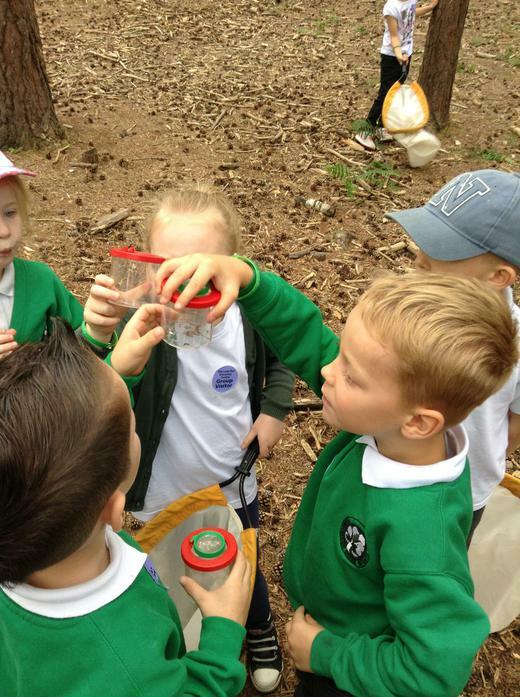 We have read the books 'The Very Hungry Caterpillar' and 'The Bad Tempered ladybird' by Eric Carle and the non-fiction book 'Caterpillar to Butterfly'. 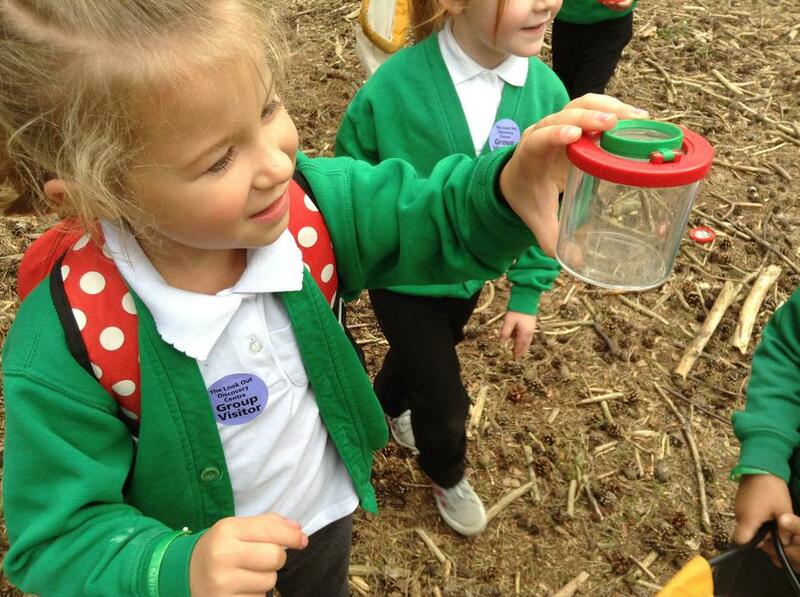 To help with our learning we have been on mini-beast hunts around the grounds, built mini-beast homes and watched caterpillars turn into butterflies. 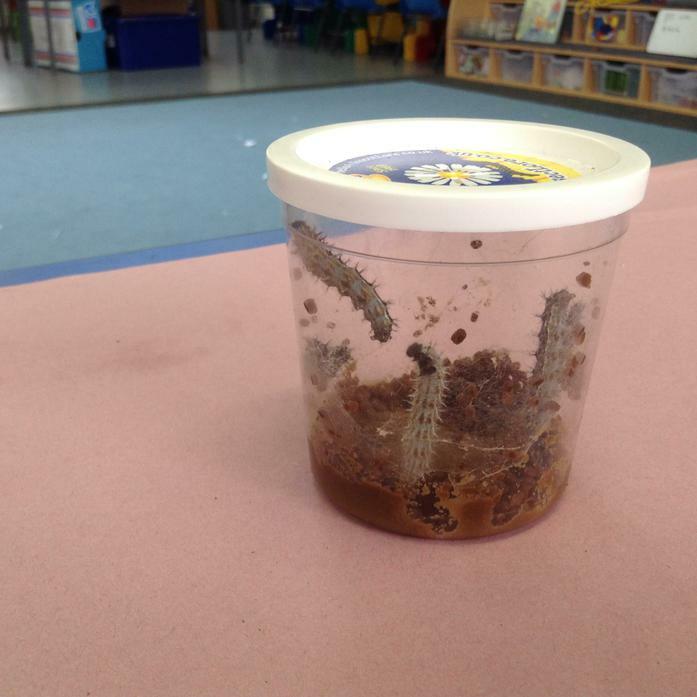 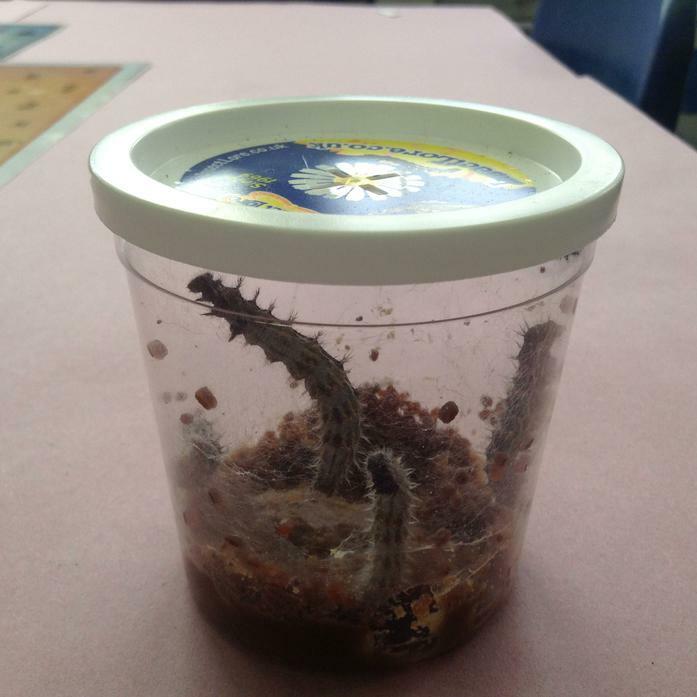 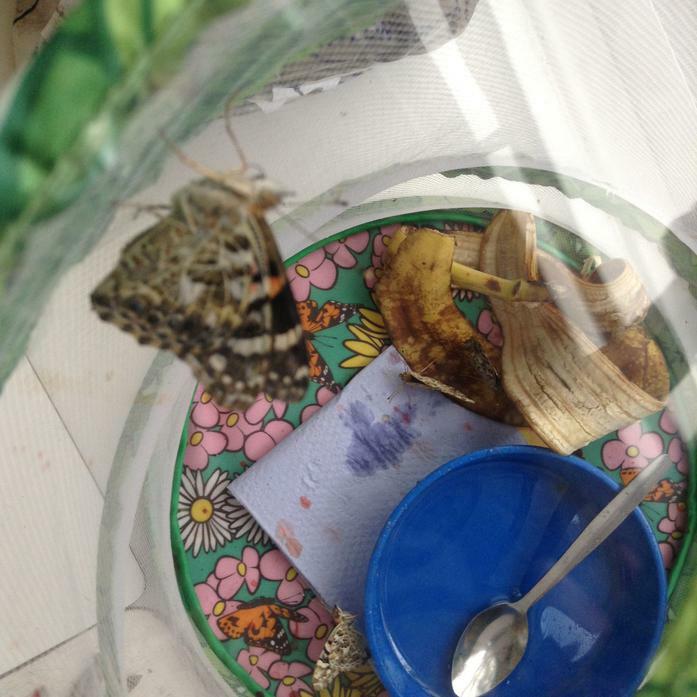 We had 5 caterpillars and they have turned into 5 beautiful butterflies. 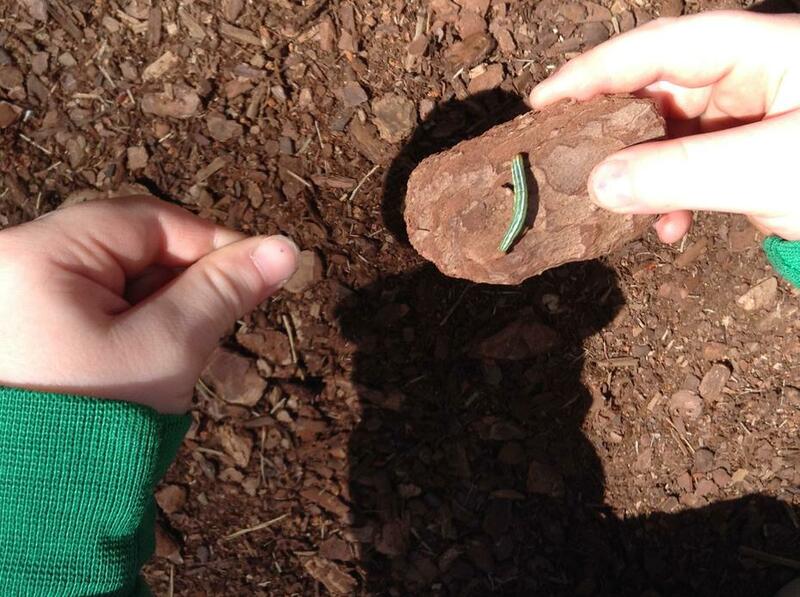 We let them go in the school grounds. 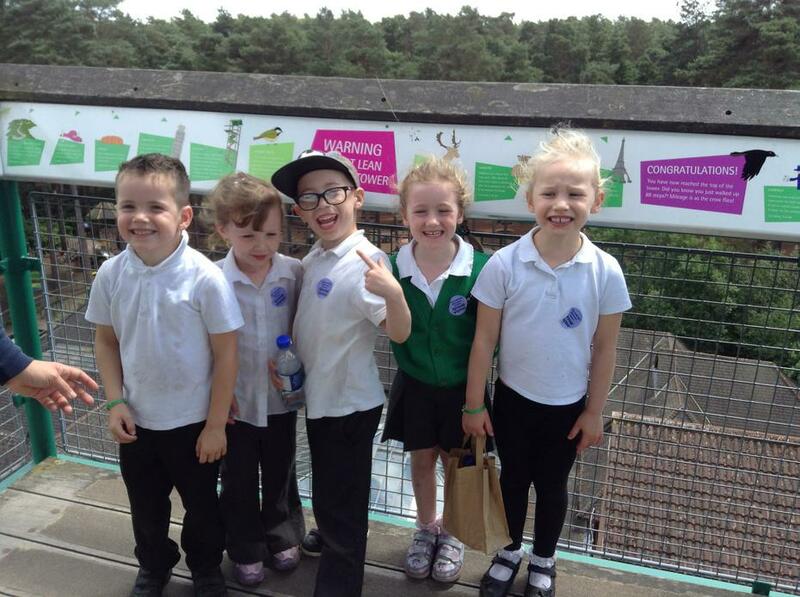 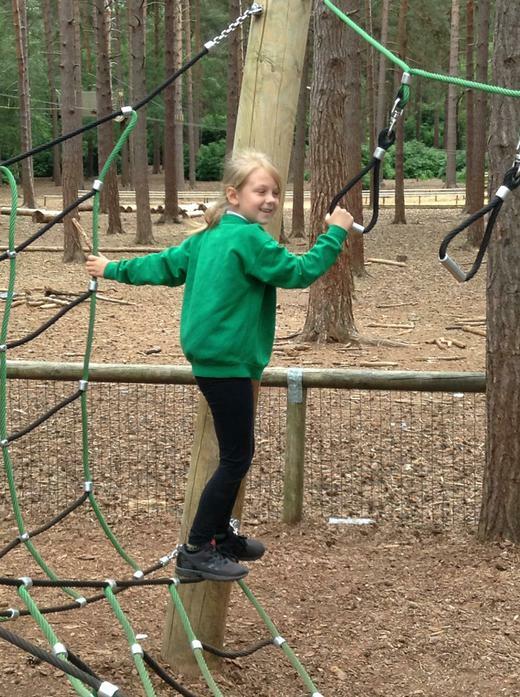 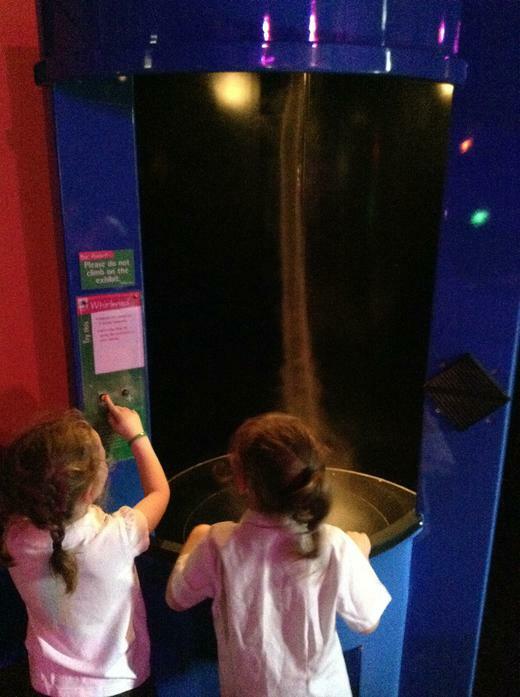 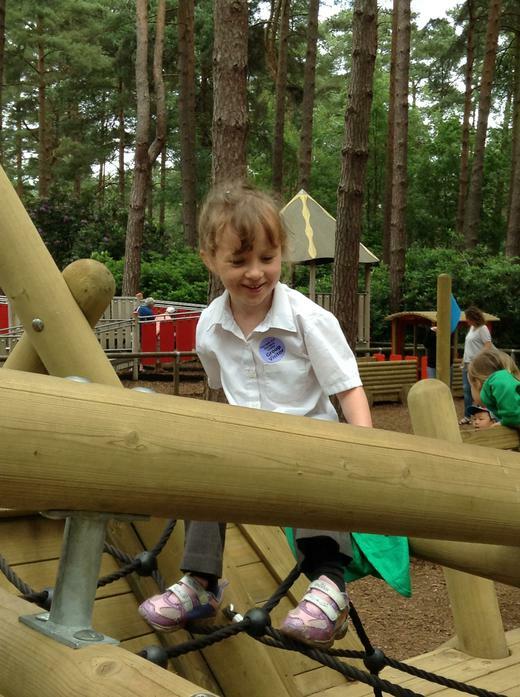 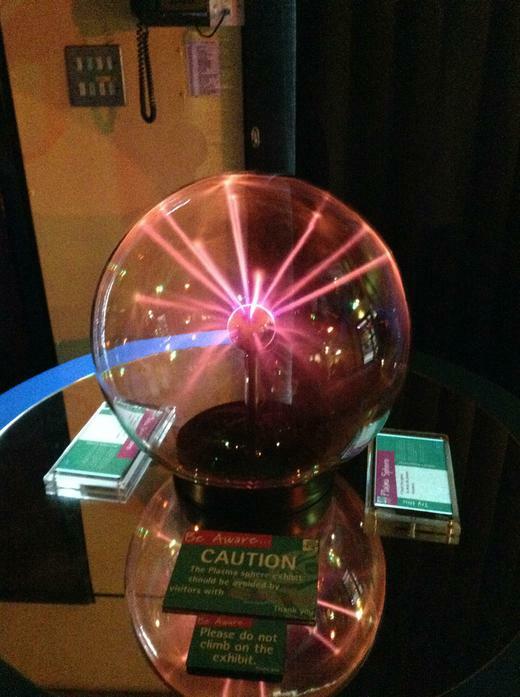 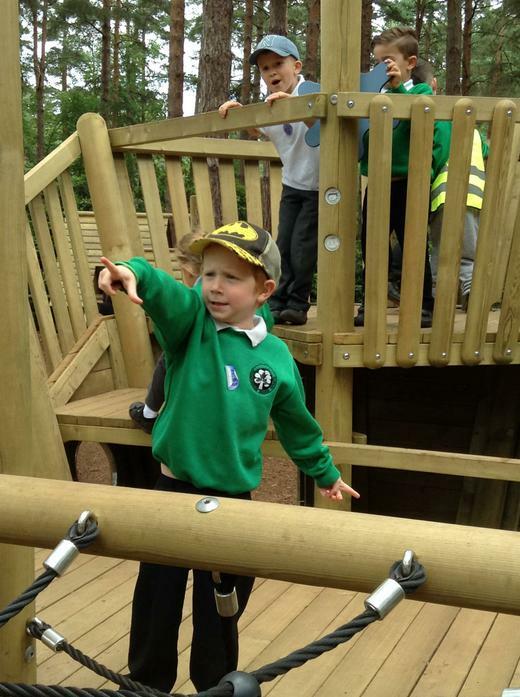 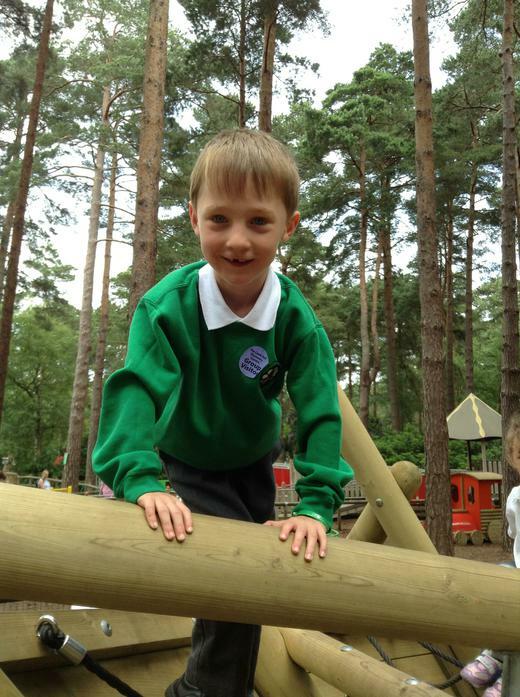 We went on a School trip to The Look Out Discovery Centre, near Bracknell. 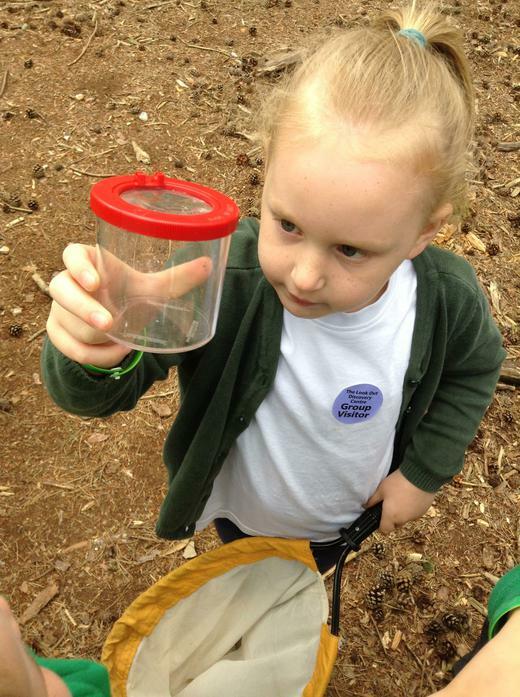 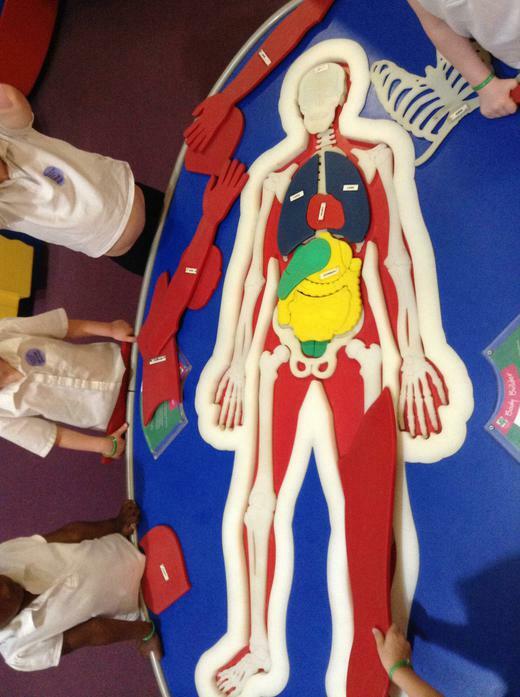 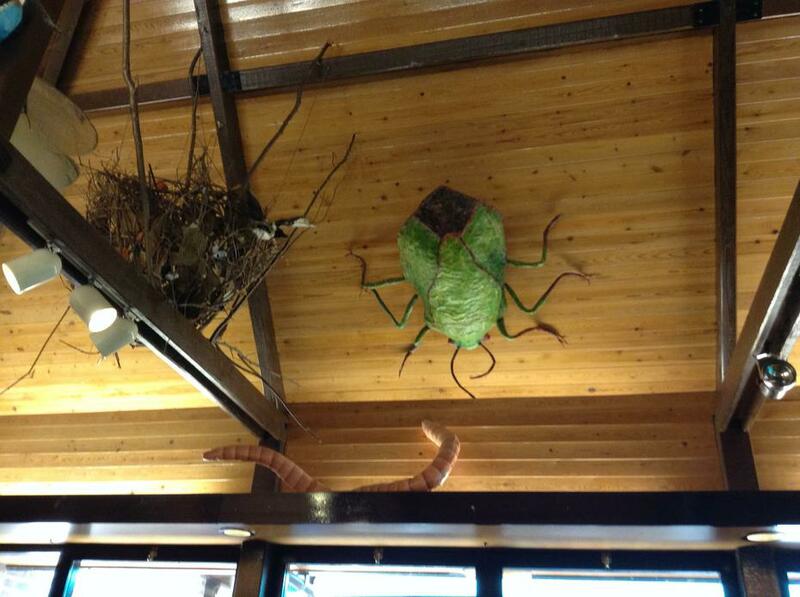 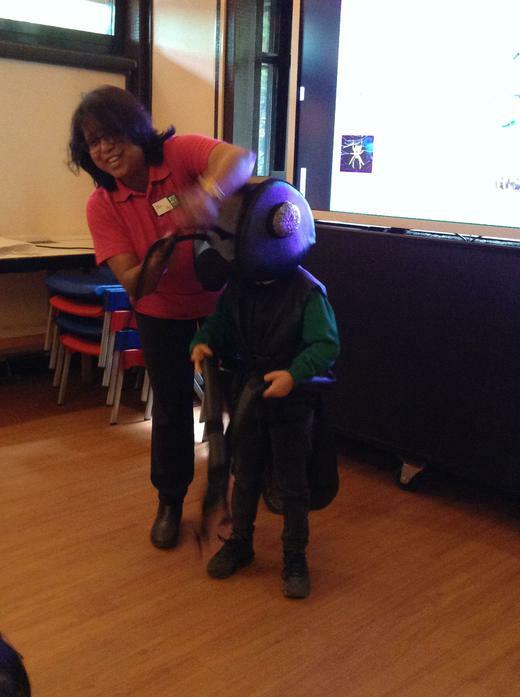 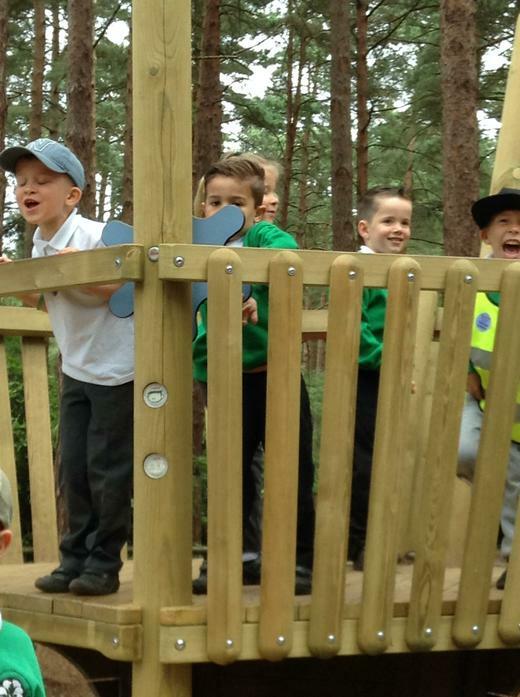 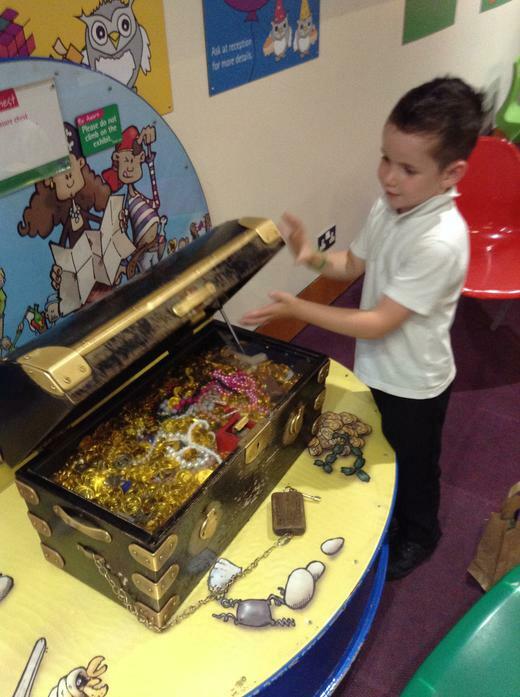 The children had a great time looking for mini-beasts, using the Discovery Centre and the play area. 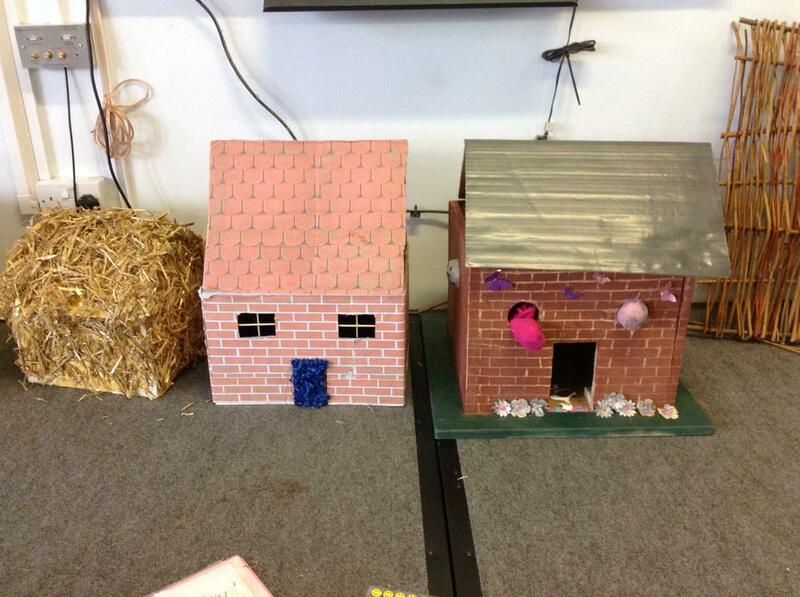 The topic for the first summer half term was Buildings. 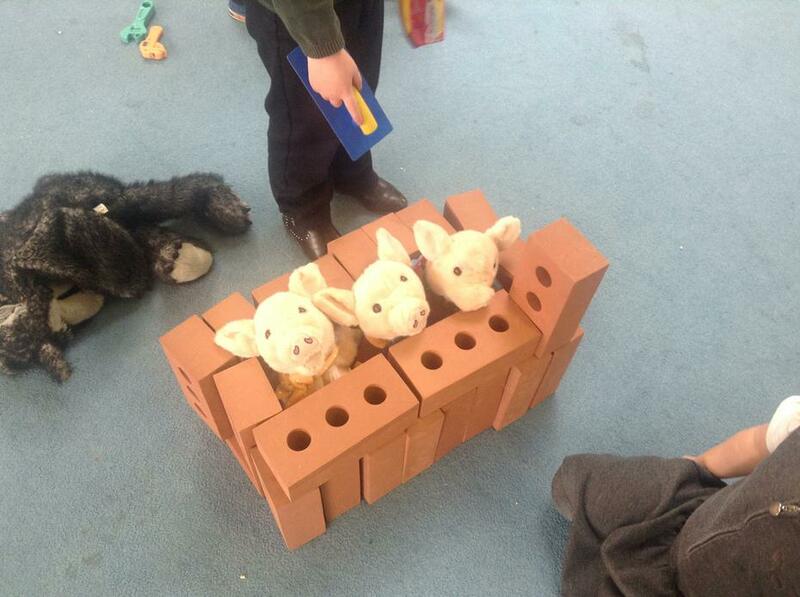 We started by looking at the core book ‘The Three Little Pigs’. 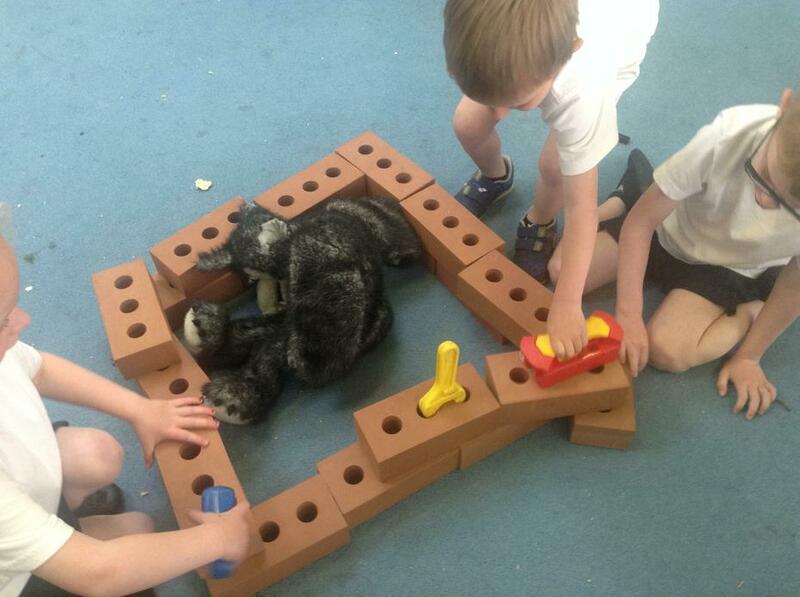 The children enjoyed joining in with the repeated phrases and role playing the story in different ways. 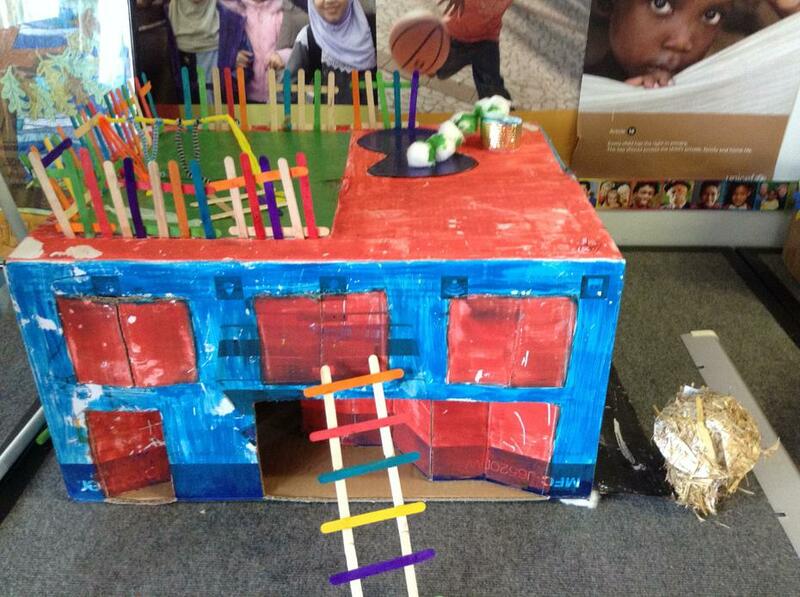 Thank you to everyone who made a house we appreciate all the time and effort you put into making some great houses. 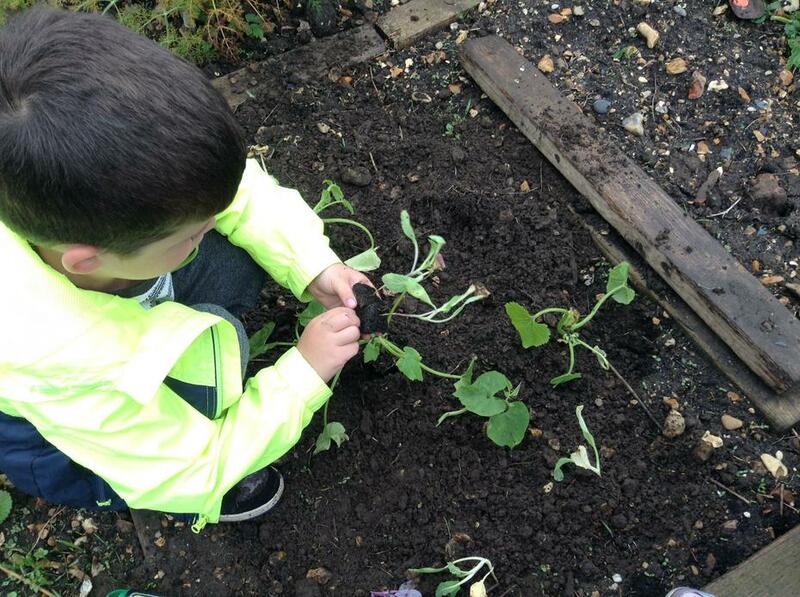 The children have been preparing and planting vegetables in our Vegetable patch. 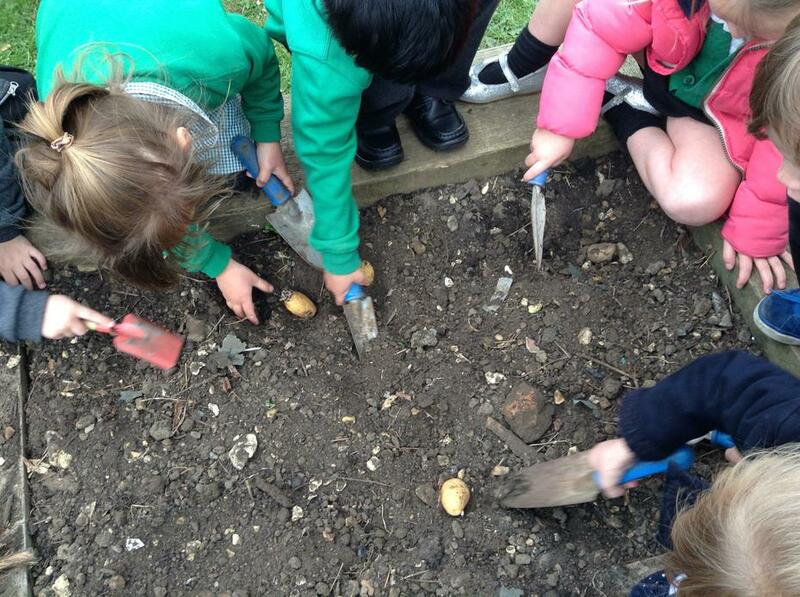 Hopefully they will have lots of produce to eat later. 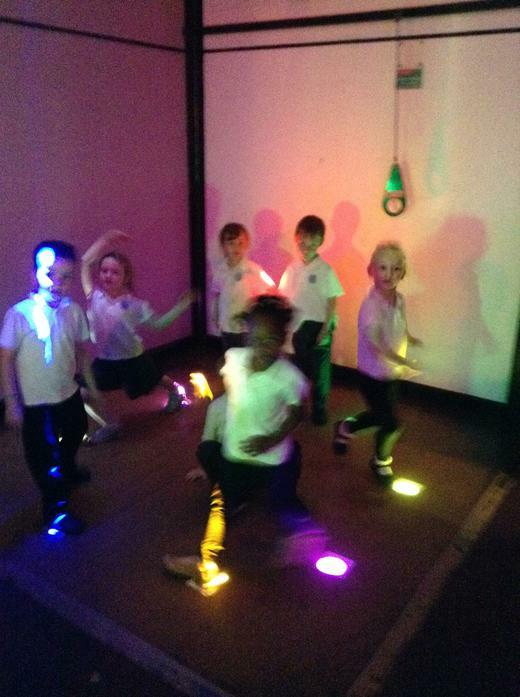 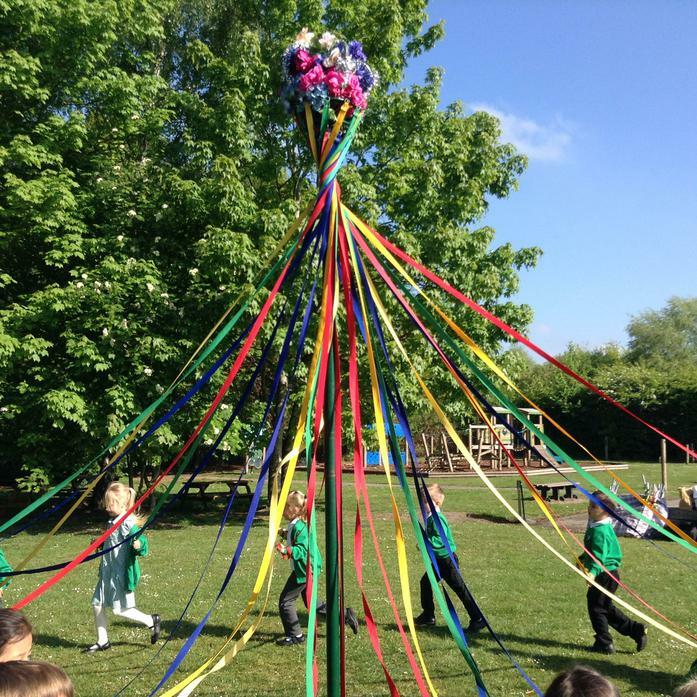 We had celebrated the start of May with some traditional Maypole dancing and some Asian dancing. 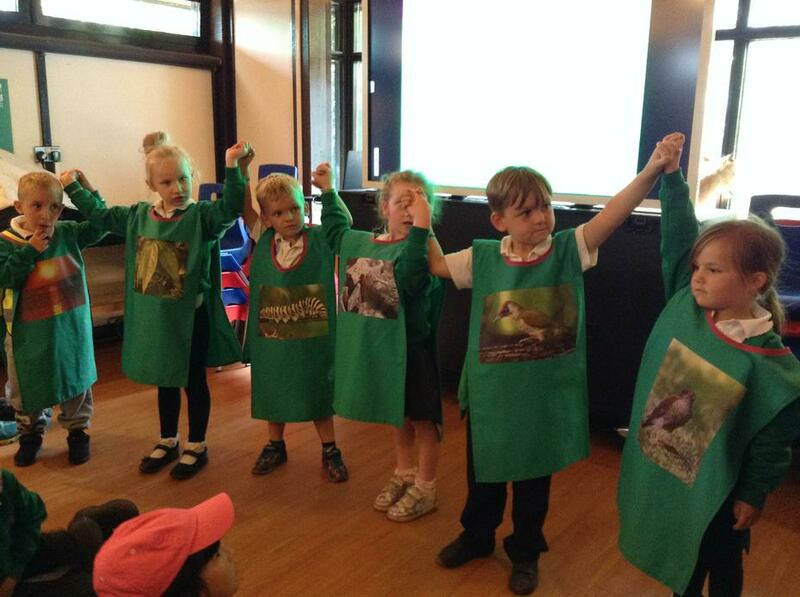 To end the half term, we looked at when people use Special clothes. 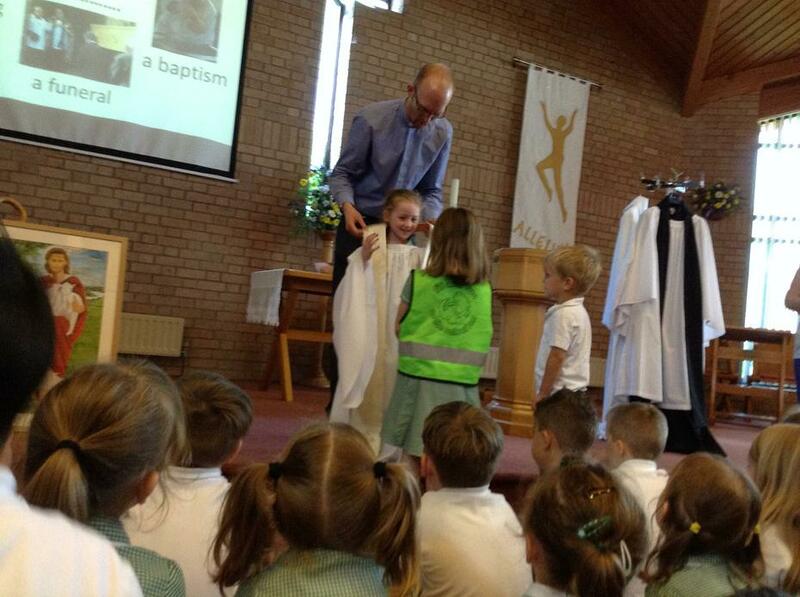 We then walked to the Church of the God Shepherd to look at the special clothes the vicar uses and why he uses them. 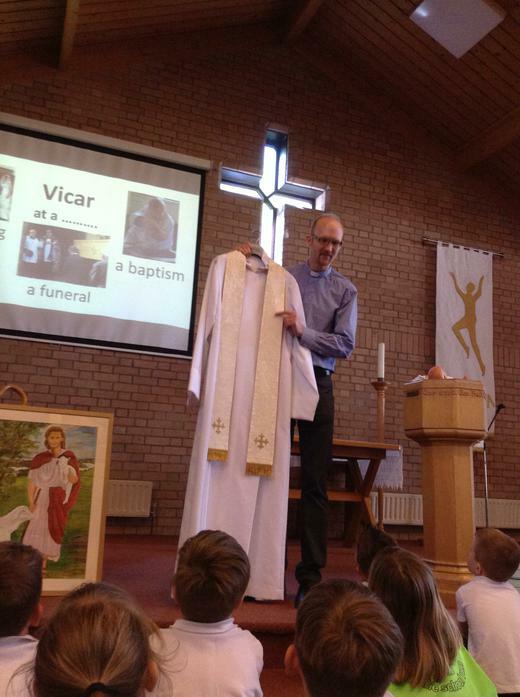 We role played a baptism and wedding to show the occasions the different clothes are used.